Welcome to the forum! Say hello, tell us a bit about the gear you have, the kind of music you play and how long you've been playing for. 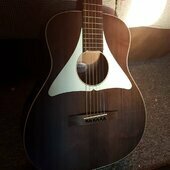 If it's guitar or music related and doesn't fit one of the other more specific forums, then put it here. Members often organise 'Guitar Bashes' all over the country. We also attend major music shows and events. This is your chance to meet another guitarist in the flesh. Clothes optional. The latest news from the Chatgroup team. 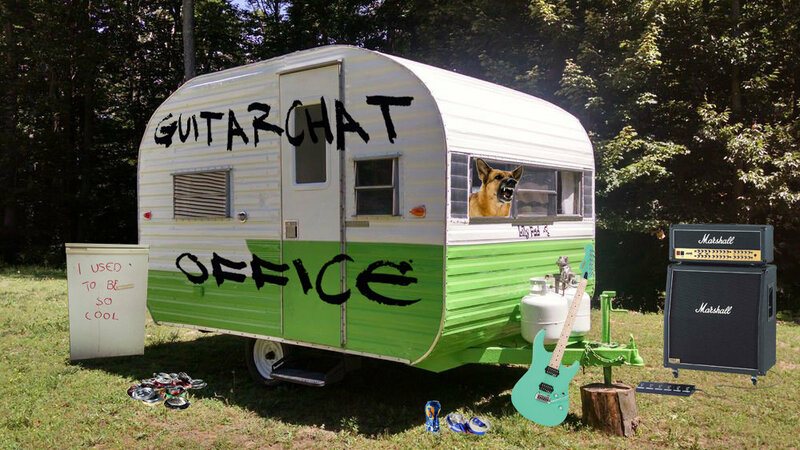 The loudest place on Guitarchat. Discuss your amplification requirements here. Talk about straps, cases, stands, strings, headphones, plectrums... lots to discuss here. Unzip your gig bag and unfurl your instrument. Post your pics here and remember to delete them from your browsing history!! Do you like fiddling with wood? Are you expecting an imminent delivery? Show the birthing process in all its detail here. Open to luthiers and expectant customers. Let us all know about your latest bit of kit! If you've got a question about gear have a look first here. Here you can share your music with us, or ask how to get started. There's no shame in playing in your bedroom, but the buzz of a gig is hard to beat. Let's see your pics, or talk about the world of the musician on the road. Get together with other people who claim to be musicians. Anything goes - who do you require to complete your supergroup? Speakers, amplifiers, combos - anything that makes you sound too loud or not loud enough. Can't justify another guitar? Spend your money on accessories instead. The ideal present for yourself. Everyone needs a few pedals, don't they? Buy and sell them here. Pedals and board for sale. Tell us about your latest transaction. Search the buyer/seller's name in case they have a feedback thread before posting. Ways to improve your groove. Welcome to the newest guitar forum on the internet. Why not sign up and get started? If you’re a member on our other site, Basschat - you can just log in with your account! Join or log in today! i bought a guitar for something other than the internet and basically applied something i had read about an it was the best thing I ever purchased i mean composed riffs after a few practices,I love guitar call me jim!